Say hello to the holiday with the durable ballistic nylon, soft plush, and squeaker combine together for an active playtime! The long legs on these playtime characters provide for easy launch and fetch action. 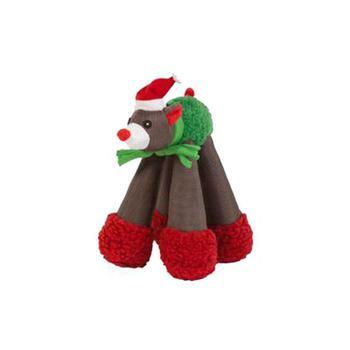 Chomper Floppy Legs X-Mas dog toys deliver...Tail Waggin' Fun!